A tec has built test adapters for a wide variety of engines from high bypass fan engines to small APU engines. 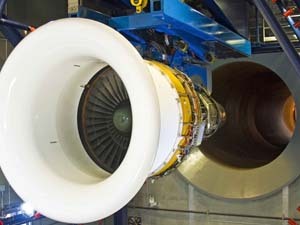 Testing a new engine type in your existing jet engine test cell can be challenging, and upgrade modifications will be needed. Atec does not view an adapter as just a mechanical weldment that simply mates the engine to the aeroengine thrust stand. Our engineers realize that additional items will be needed in the facility to insure total project success. During the planning phase, Atec engineers can visit your existing facility and/or review videos to make a comprehensive assessment of the integration needed to add a new engine type to your testing facility. 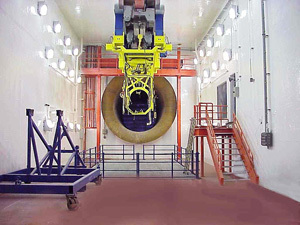 Atec can perform airflow, acoustics, FEA and sub systems analyses to ensure that any new engine added to your jet engine test cell will have the proper capacity to perform properly. 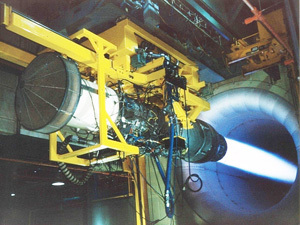 Vital Link’s current experience with advanced fighter engines test adapter kits further bolsters our expertise in high thrust engine test handling. 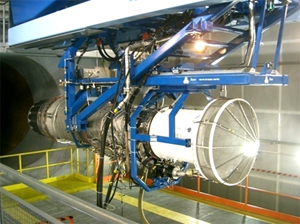 Customers can contract with Atec for any and all items needed to add the new engine to the facility. 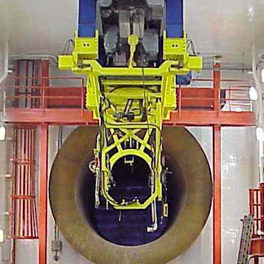 Atec has adapted and modified many test facilities built by other companies, including the installation of engine adapters into existing thrust stands designed by others. 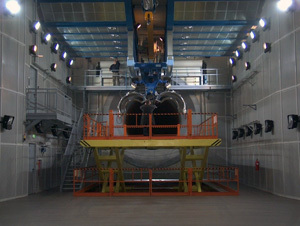 The correlation of the facility is usually arranged by the test cell owner with the engine OEM. Atec stands ready to assist our Customers with planning and fine-tuning to promptly achieve correlation.